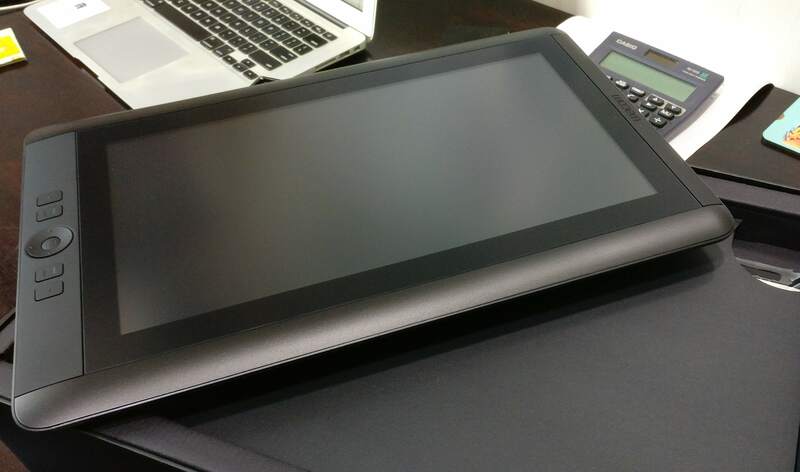 The Cintiq 13HD is the latest addition to our production pipeline and we have been using it for about a month now. Here’s what our views are on it! The Cintiq 13HD comes as an improvement over its predecessor the Cintiq 12WX. The screen is the biggest attraction for this device with its 13.3’ HD display, it does a pretty great job. The 1920×1080 resolution is more than enough for a display of this size. The gadget remains draped in an all-black coating, while a slightly smaller set of ExpressKeys, surrounding a single Rocker Ring and a centered home button, lines the side panel of the display screen. These placement of the keys are very comfortable. The only drawback of using the hotkeys is that it tends to lag when pressed in frequent succession. A power button, USB 2.0 port, 3-in-1 cable jack (more on that later) and LED status indicator sit on the other end, opposite those user-configurable buttons. 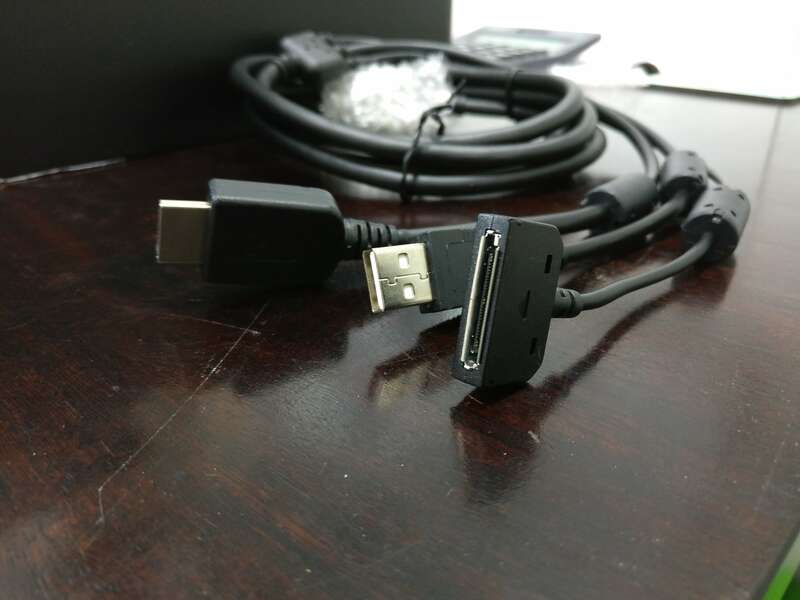 The device comes with a metal stand that gives the user flexibility to change between 3 working angles (22 degrees, 35 degrees and 50 degrees). The stand is detachable if you’re in the mood for a lap-work experience. The problem with the stand is that it is not very convenient to adjust quickly. The adjusting of the stand from one angle to the next requires you to use both hands thus interrupting your work-flow. 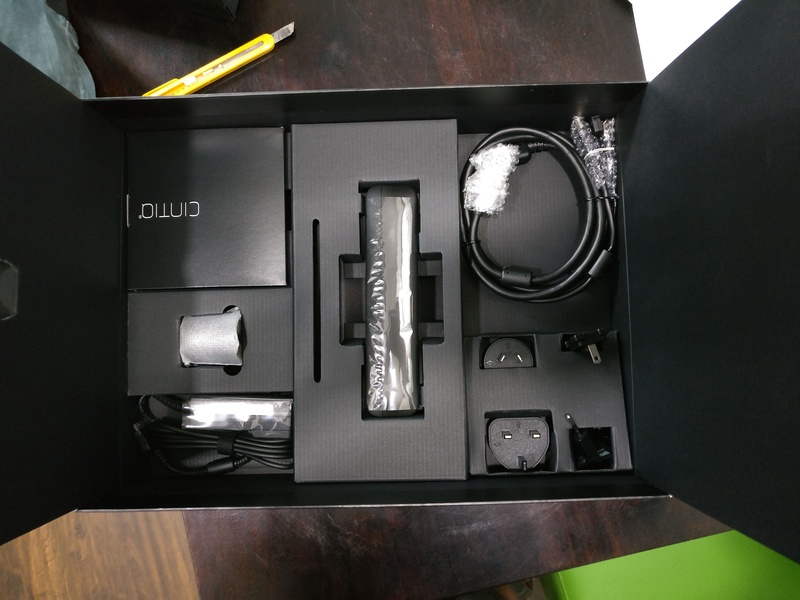 The pen that is included in the package is the regular Cintiq accessory. 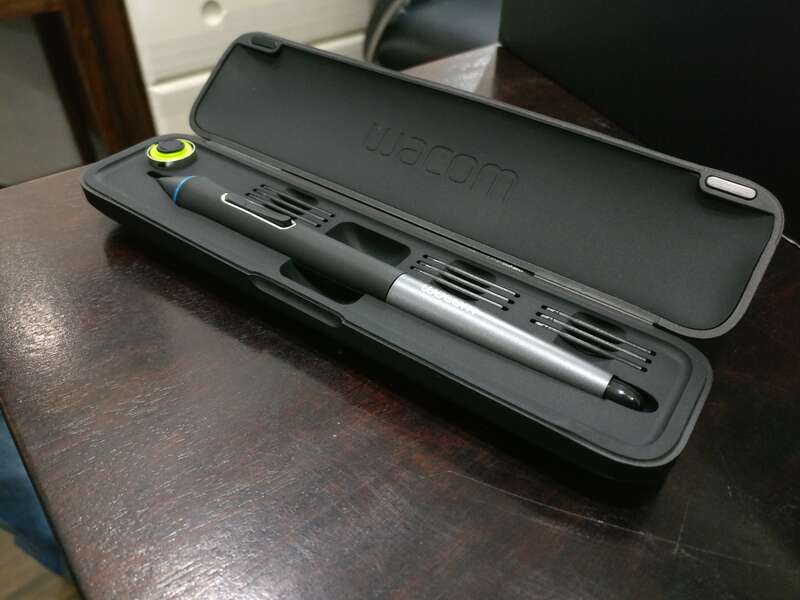 It has a pen holder that also accommodates 9 extra pen nibs that come with it. The pen is particularly good just as all other Cintiq pens. With 2048 pressure sensitivity levels, it is a more than efficient tool. Along with the pen there are extra color rings that might help distinguish one pen from another. 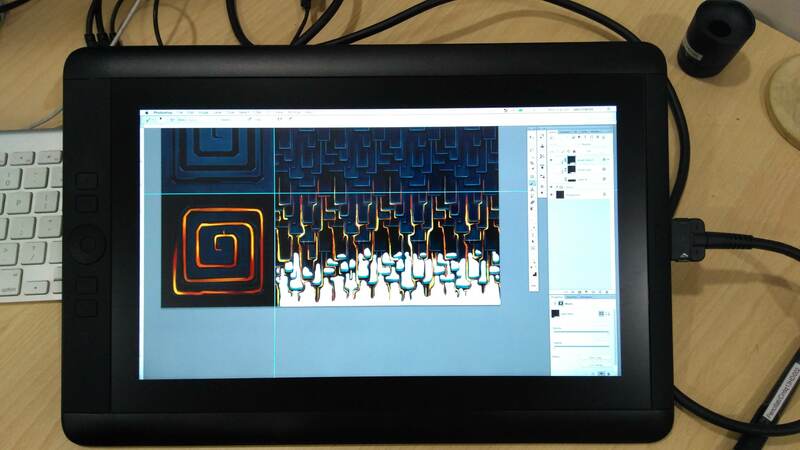 This device is the best option available to an artist in its price range and especially for people who are not willing to invest in something as expensive as the Cintiq 27QHD.